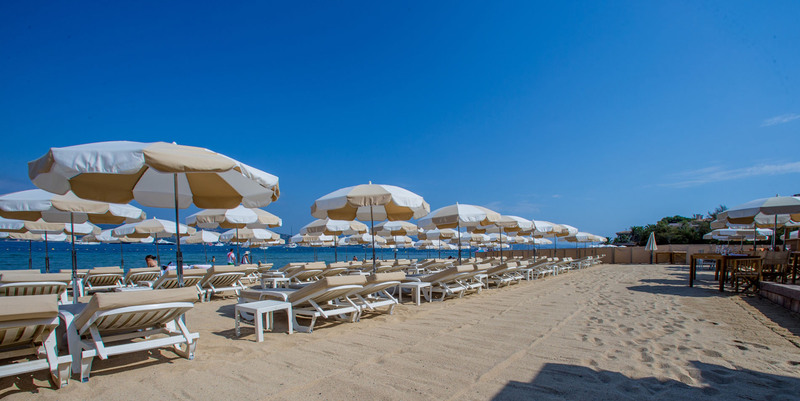 La Bouillabaisse Plage is ideally located at the entrance of Saint Tropez, enjoying a magnificent view of the Bay. Open all year round, our Restaurant welcomes you in a warm and contemporary atmosphere and offers a menu featuring seasonal quality products. Our sandy beach is the perfect place to enjoy the turquoise waters of the Mediterranean sea. Our Beach Bar is ideal for siping a cocktail while enjoying this idyllic setting. Easily accessible, close to hotels and benefiting from private parking, our Team will be delighted to receive you soon for your lunches, dinners or all your events.